In 2015, campaigning for the next presidential election reached fever pitch. So, when the eyes of America tuned into the Republican Debate, they were met with yet another political advertisement. Only this one was for a candidate far more deceiving than those on stage that night. 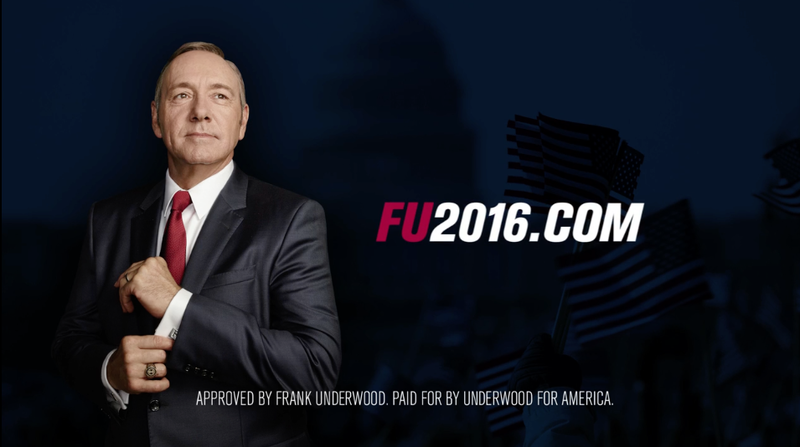 This ad was for Frank Underwood. The advertisement led people to a campaign site where voters could learn and show support for Frank with the FU2016 Meme Generator. And this is just the start of a campaign that goes far beyond politics to build anticipation for the new House of Cards Season on Netflix. Visit the website here.